We are the second Maserati dealership established in the storied and world-class Zeigler Automotive Group, and couldn’t be happier to call Schaumburg our home. Whether you’re from our own backyard in Schaumburg, or coming to us from anywhere in Chicagoland, you can rest assured that when you shop for a new Maserati model or used luxury vehicle with us, you’re shopping for the utmost in performance and class no matter what appeals to you. When you’re ready, our expert and friendly auto financing team can help you find and apply for a competitive car loan or Maserati lease option in Schaumburg. 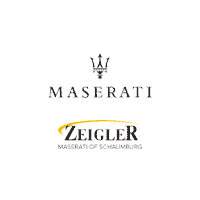 The Zeigler Maserati of Schaumburg team is at your service to answer any and all questions you may have. Once you’re an owner, Zeigler Maserati of Schaumburg continues to support your driving needs through our onsite Maserati service center. Our team is highly trained on luxury vehicles and utilizes the latest and greatest in Maserati parts, so you can count on peak routine maintenance and timely repairs when they’re needed. The pinnacle of Italian luxury is found when you visit Zeigler Maserati of Schaumburg near Hoffman Estates, Chicago, Barrington and Palatine. You should expect nothing less. Visit our dealership in Schaumburg for a test drive you soon won’t forget. If you’re interested, be sure to visit the rest of the Zeigler Automotive family of dealerships in Schaumburg at Zeigler Alfa Romeo and Zeigler FIAT right next door to our Maserati dealership. We look forward to serving you soon!